As the sun begins to peak out from the clouds and summer is finally alluring us to take to the trails, the Jacob Ebey House awaits its grand opening. Past and present will convene, and the house that once inhabited one of the original settling families on Whidbey Island will be opening its doors to the public on June 2, 2011. But we’re not quite there. 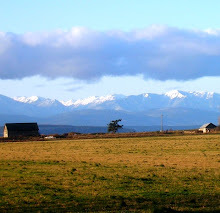 As was true in the past, when Jacob’s son, Isaac, raised his home on the prairie in two days with the help of fifteen local men, this home needs community volunteers to complete the final push towards the unveiling of this rich historical element of Ebey’s Landing. We need volunteers who are interested in participating in a docent program at the Jacob Ebey House Visitor Contact Station. 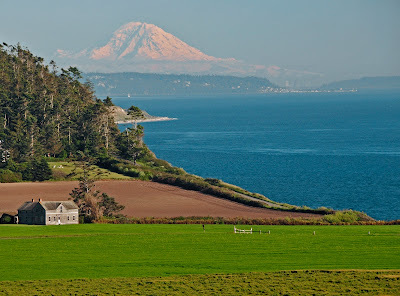 The rehabilitated home from the 1850s is located off the Ebey’s Prairie Trail that begins at the Sunnyside Cemetery Prairie Overlook and eventually links with the Bluff Trail at Ebey’s Landing. The scenery is awe-inspiring. The home overlooks farms of the prairie, Ebey’s Landing, the Puget Sound and the prestigious Olympic and Cascade mountain ranges. On a clear day, Mount Rainier can be seen, making this one of the most stunning all-encompassing viewpoints on the island and arguably in the Pacific Northwest. When you stand on the front porch of this home, there is no question why Jacob and Sarah chose this spot, and there is an undeniable sense of the timelessness of the prairie. 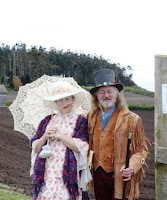 We are looking for members of the community who want to enjoy the pristine setting of Ebey’s Prairie while educating the public about the intriguing history of the Jacob Ebey House, the perils of the Ebey family, and the surrounding land. This is a unique opportunity to share our cultural heritage, while talking with curious locals as well as visitors from all corners of the globe. We are looking for docents to fill 3.5 hour shifts during the summer months of June 2nd through September 4th. There is no previous knowledge necessary, but a passion for history and interacting with people is a plus. The two daily shifts will be from 10am – 1pm and 1pm – 4pm, Thursday through Sunday. We are looking for docents to fill weekly, bi-monthly or monthly shifts, as well as standbys that can fill in if necessary. There is a mandatory orientation on Saturday, May 21st, from 10am–3pm, lunch and goodies included. We will cover history of the family and the area, logistics, expectations and duties of a docent and also find out what shifts work best for you. Email alix_roos@nps.gov or call Alix Roos (360) 678-6084 at the Trust Board of Ebey’s Landing National Historical Reserve office for further information about this opportunity or to sign up for the orientation.